Because St. Patrick’s Day is so popular in Ireland, and all you really ever hear about on the date is “Irish this, Irish that”, most assume that St. Patrick was Irish. However, the assumption would be wrong. St. Patrick was actually Scottish and was said to be either born in Scotland or Wales. Even more interesting is that his name wasn’t even Patrick. His birth name is actually Maewyn Succat. The story goes, at the age of 16, he was kidnapped and sold into Irish slavery. Later on in time he became a priest under bishop of Auxerre and took on the name Patricius, better known as Patrick. Over time he began to believe it was his calling to bring Christianity and Ireland closer together. Regardless of where he was born, he became an integral part of Irish culture through service to his adopted country and thus became the patron saint of Ireland. Perhaps the Scottish should get a little recognition on this day as well. As history would have it, March 17th has developed into a worldwide celebration of Irish culture and history, and just a darn good excuse to drink green beer. Now’s the time to plan your St. Patrick’s Day festivities! In North America, parades are often held on the Sunday before the 17th. Over the weekend Chicago should have died it’s river green for a few hours to celebrate. Our own Savannah will be doing the same thing. So if you can’t make it to Savannah, head to your favorite pub for a pint with friends or invite people over for some Irish-inspired appetizers. If you have nowhere else to go, or your teeth are stained green, visit us, we’d love to see you (and bring back your natural smile). 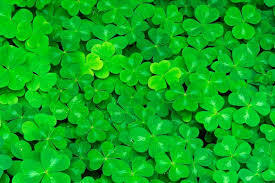 Have a happy St. Patrick’s Day. Oh, and the shamrock thing, legend has it that St. Patrick used it to explain the Trinity. Isn’t it amazing how legends evolve. Our winters are fairly mild in Atlanta and that’s pretty good health wise because during the winter months and at other times when the air is very dry, it is important to keep our nasal passages moist. When I was young I used to think my mother’s practice of medicine were just old wives tales, but practically applied her easy way to moisten your nasal passages is to sniff salt solution into both sides of the nose 2-4 times a day. To prepare a solution of proper strength, add 1/4 teaspoon of table salt to a cup of warm water, and stir it until all the salt has dissolved. Sniff some from a spoon or other small container into each nostril. Alternatively, you can buy ready-prepared nasal saline products, such as Ocean, Simply Saline or generic equivalents from drug stores. Such solutions can be used to wash away mucus from the membranous lining of the nasal passages. They also help by shrinking any parts of it that are swollen. This may save you a trip to the doctor. If this is not done, mucus and the swollen membranes around these openings may block openings of the sinuses into the nasal passages. Sinusitis will then occur if nasal bacteria infect the mucus, which can no longer drain from the blocked sinus. Treatment of sinusitis (rather than its prevention) often requires the use of antibiotics.